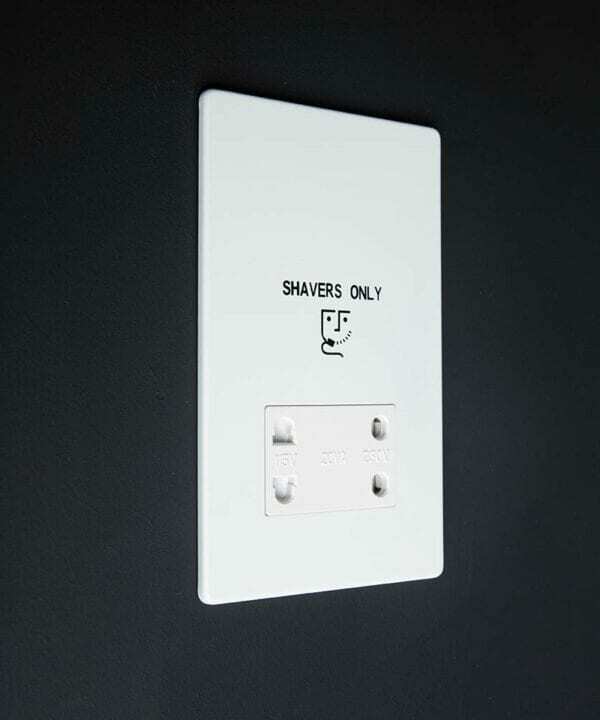 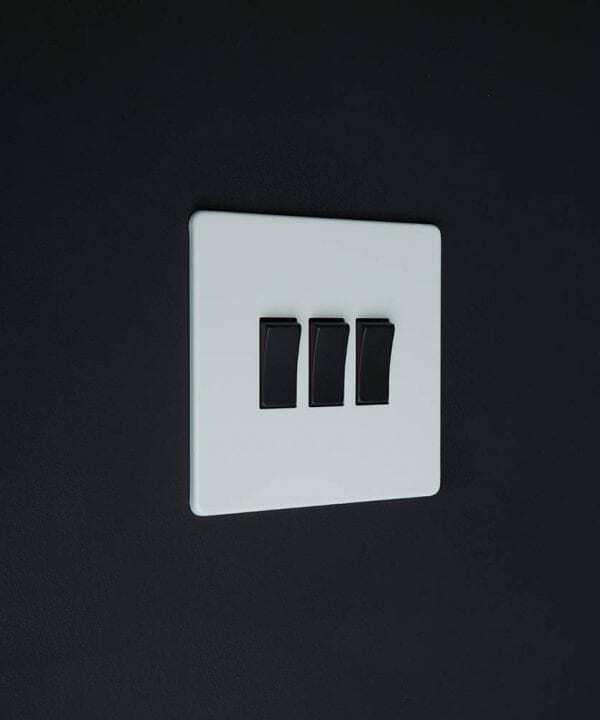 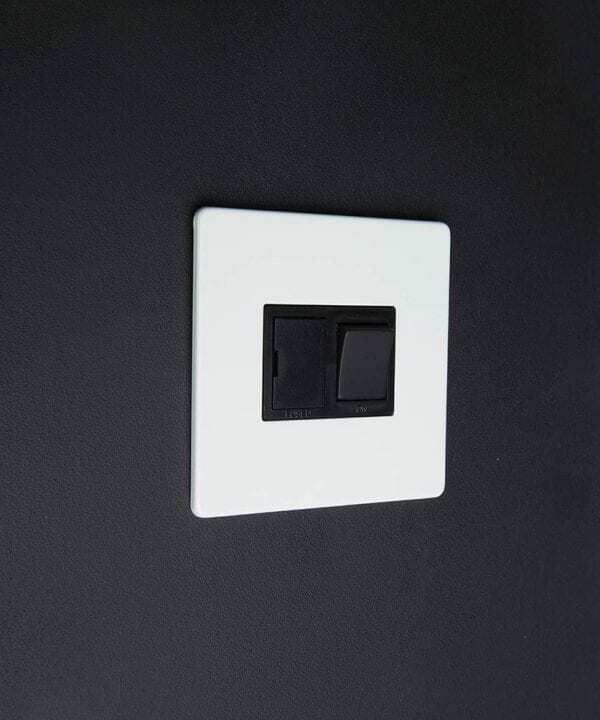 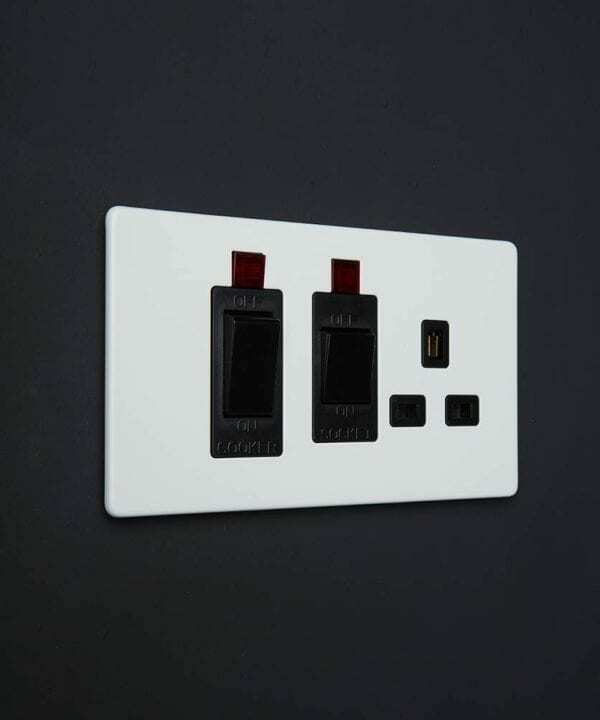 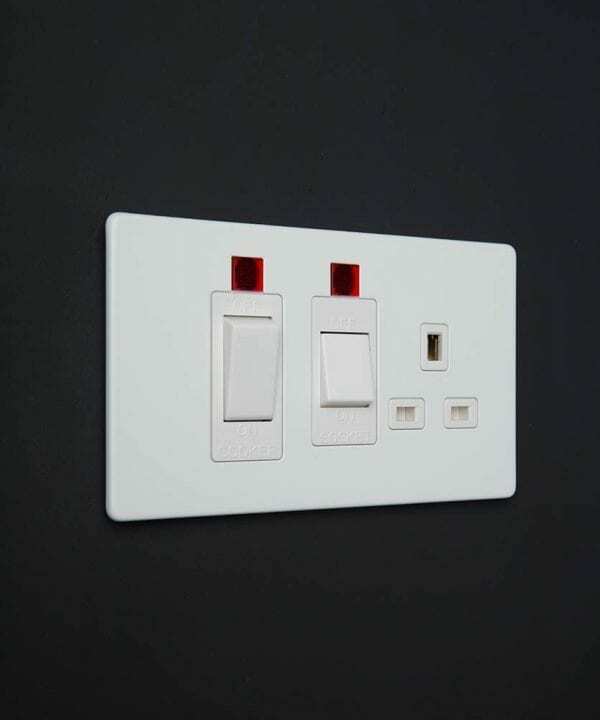 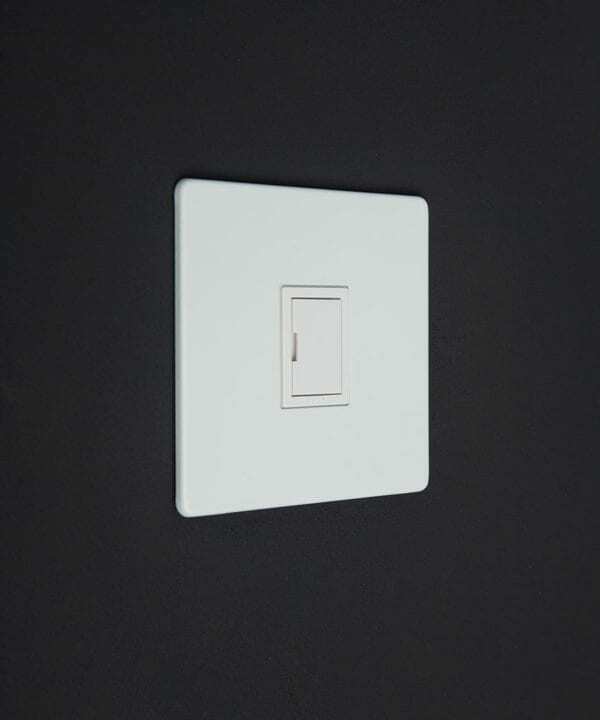 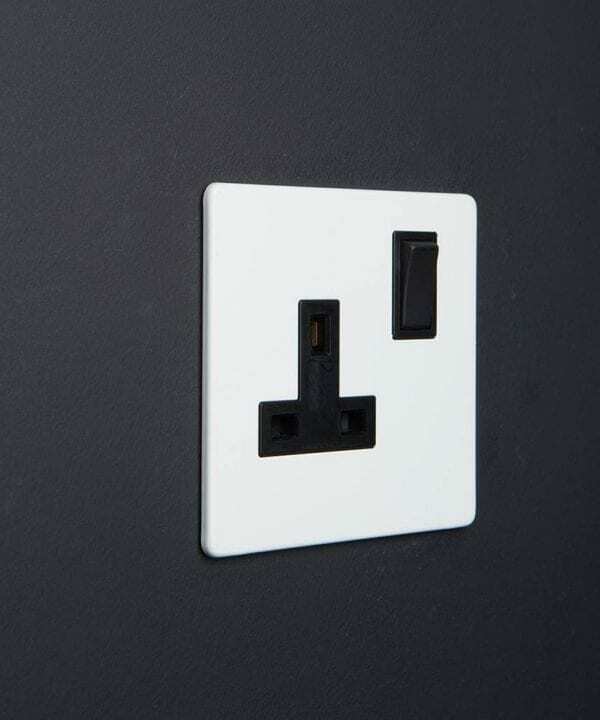 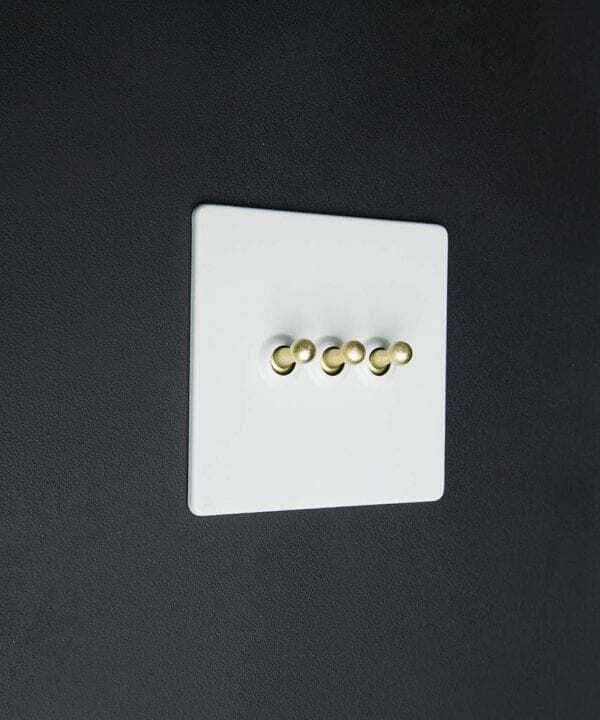 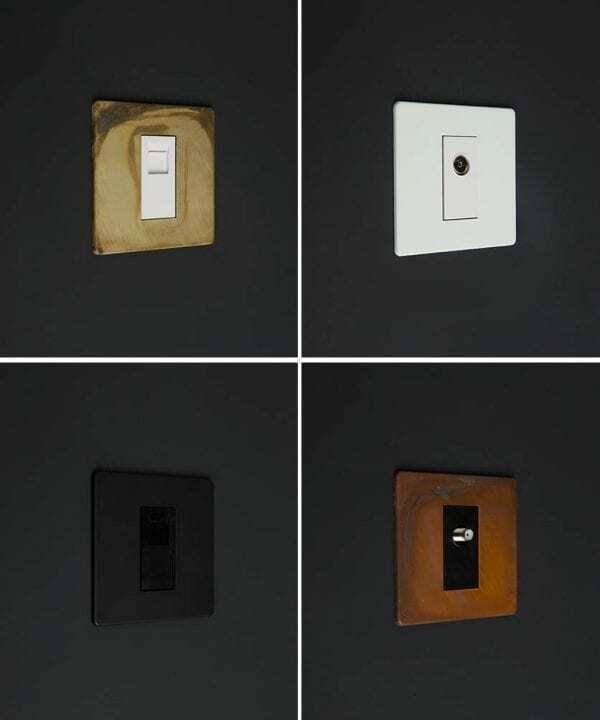 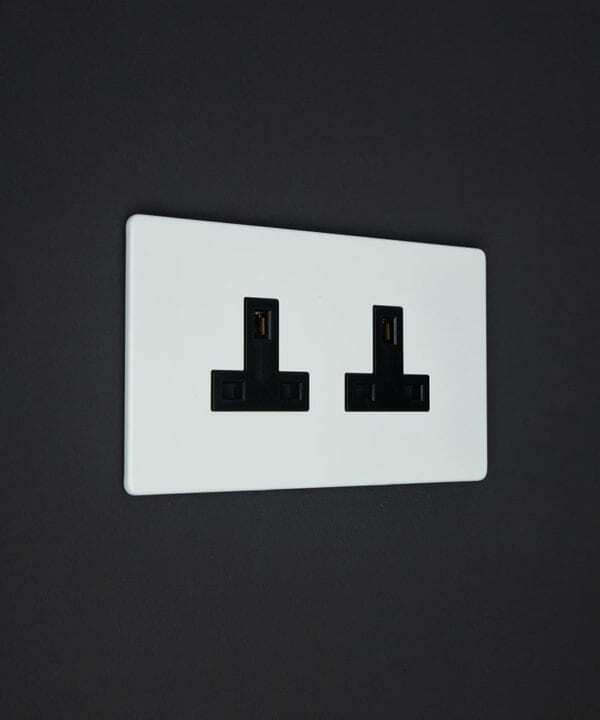 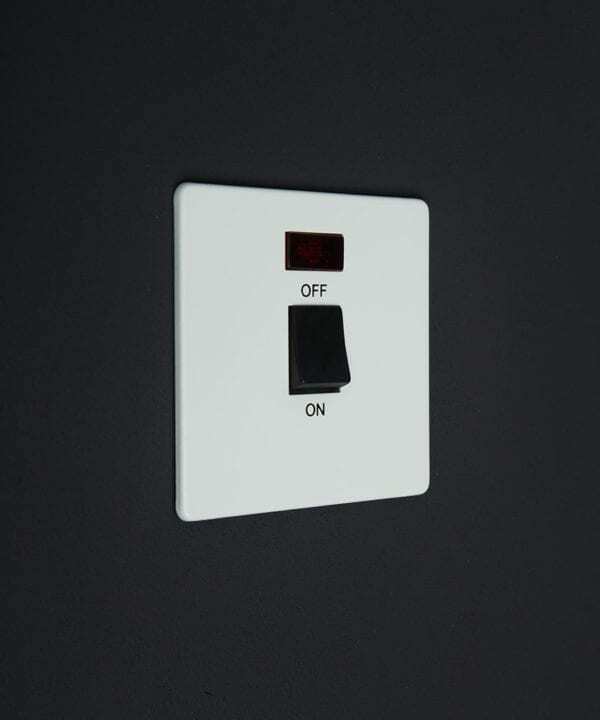 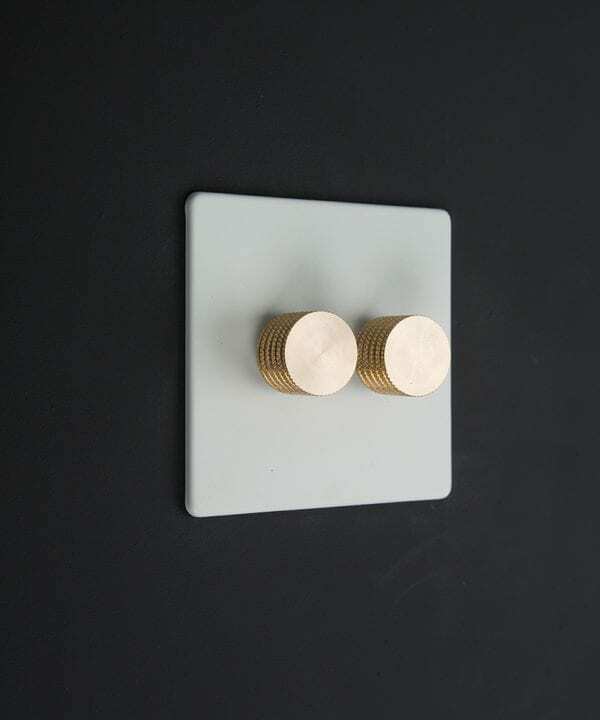 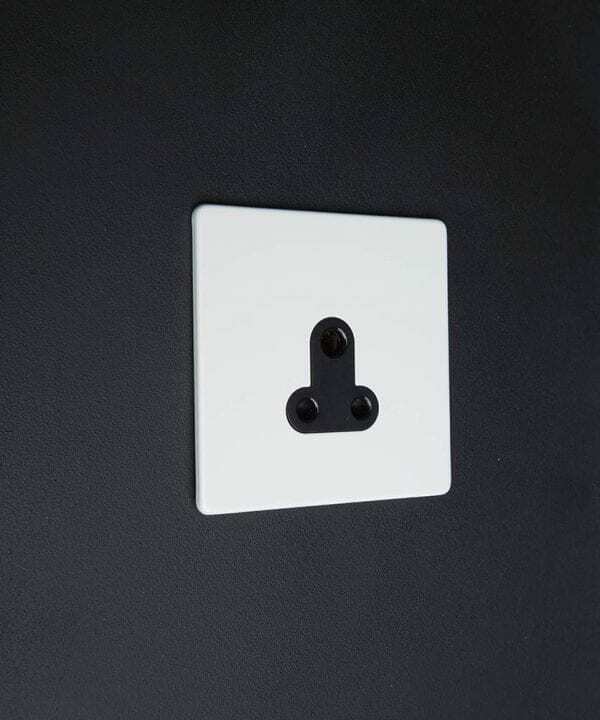 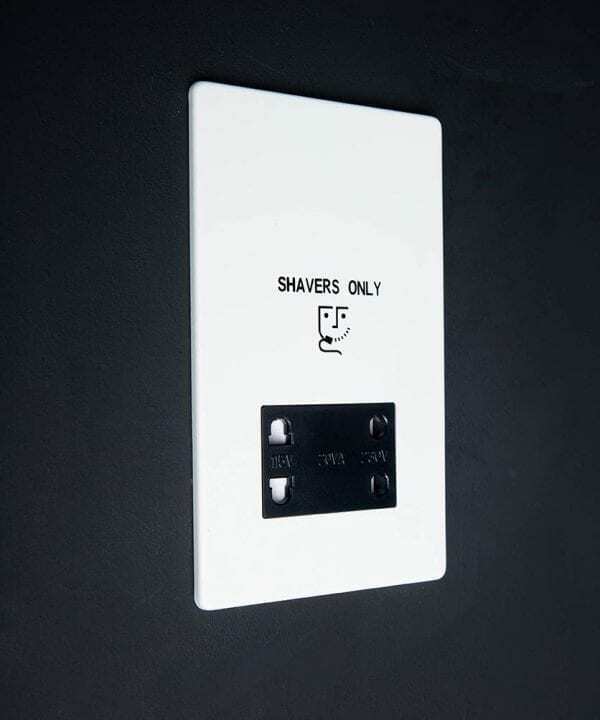 Our exclusively created white switches and sockets collection has been designed here at D&R with minimalist design in mind. 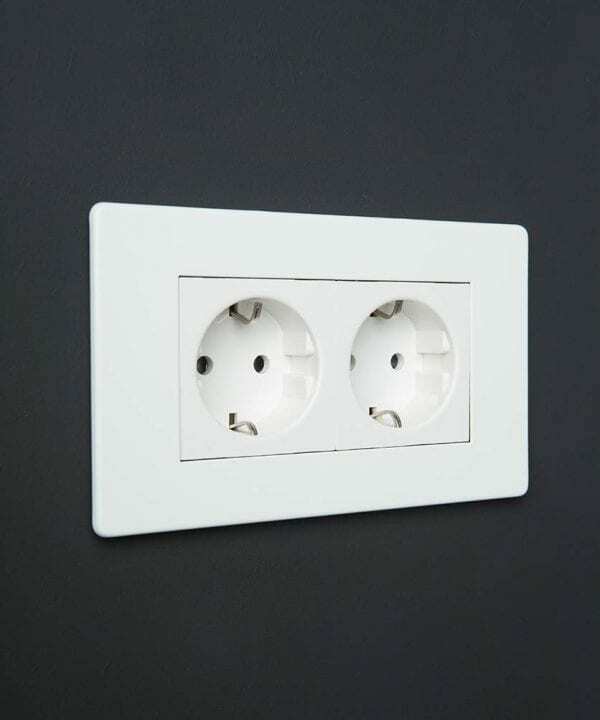 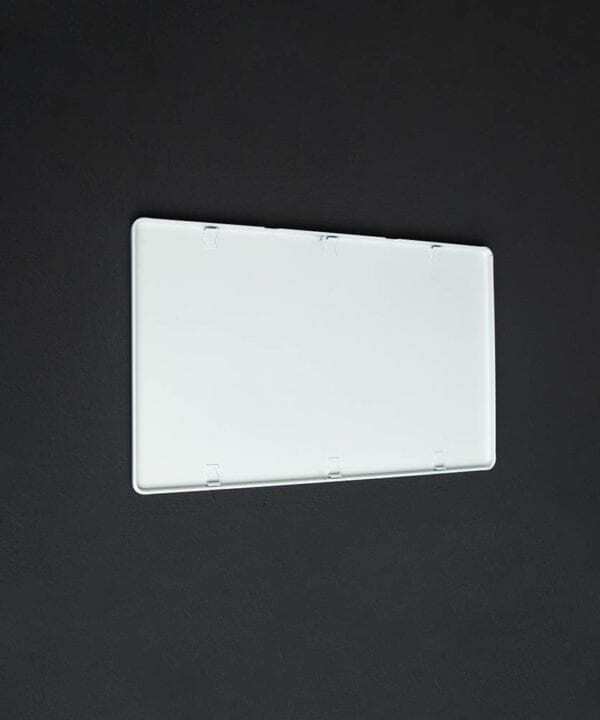 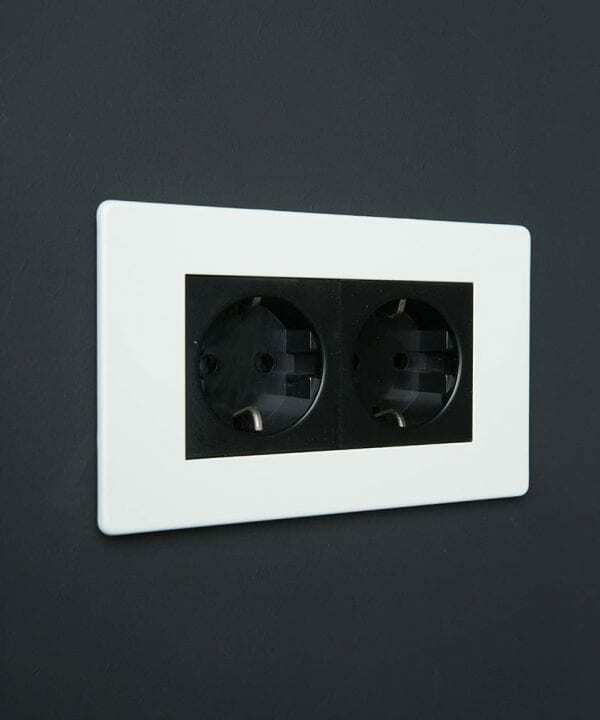 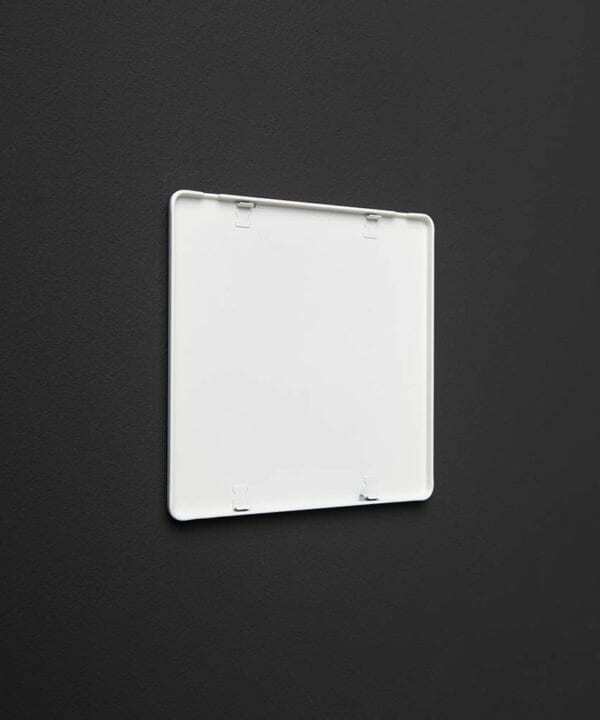 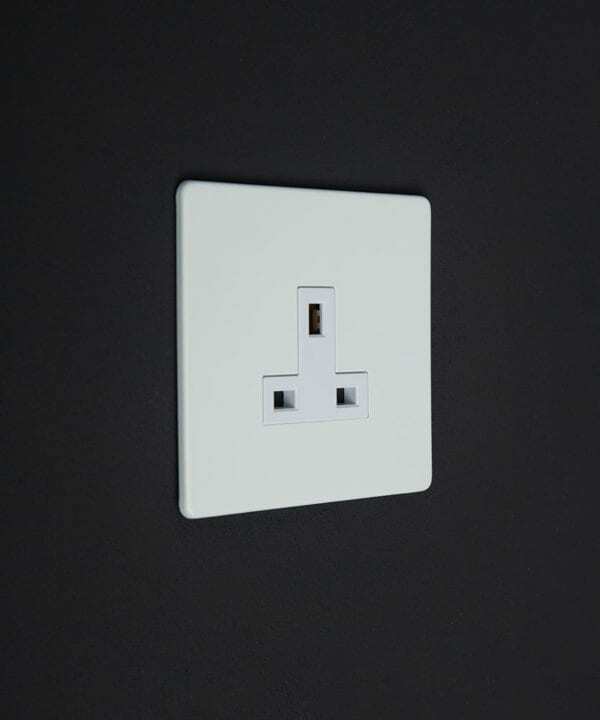 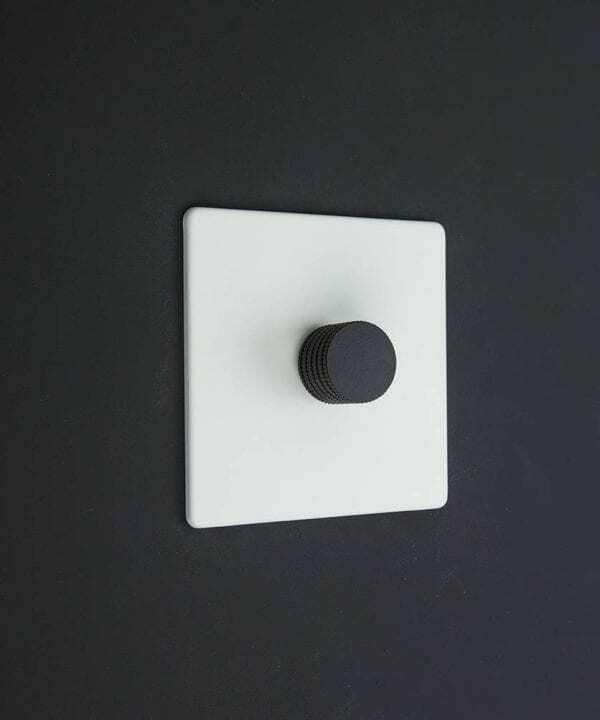 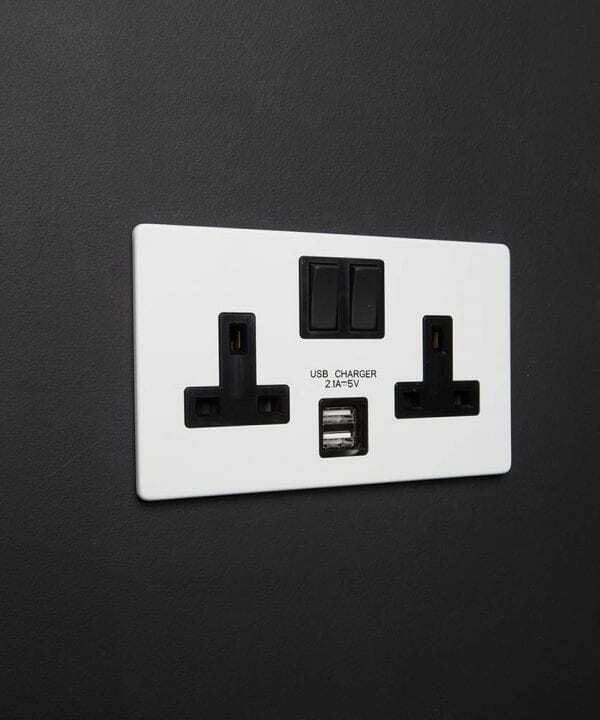 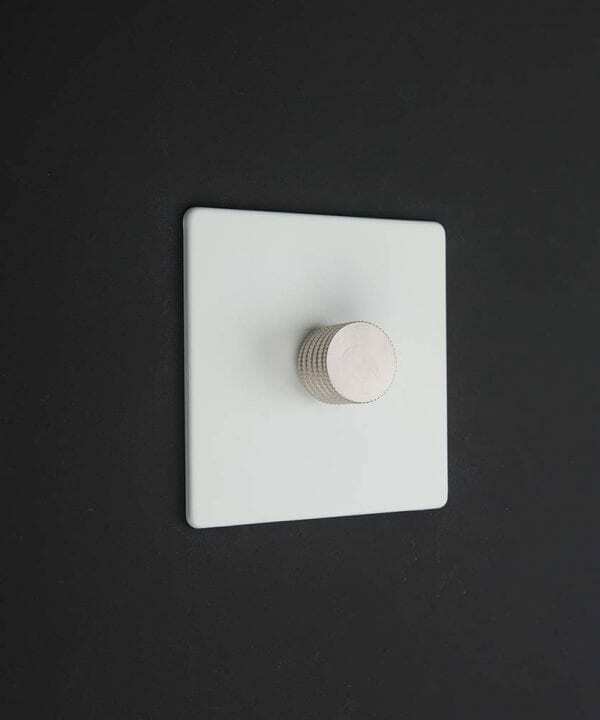 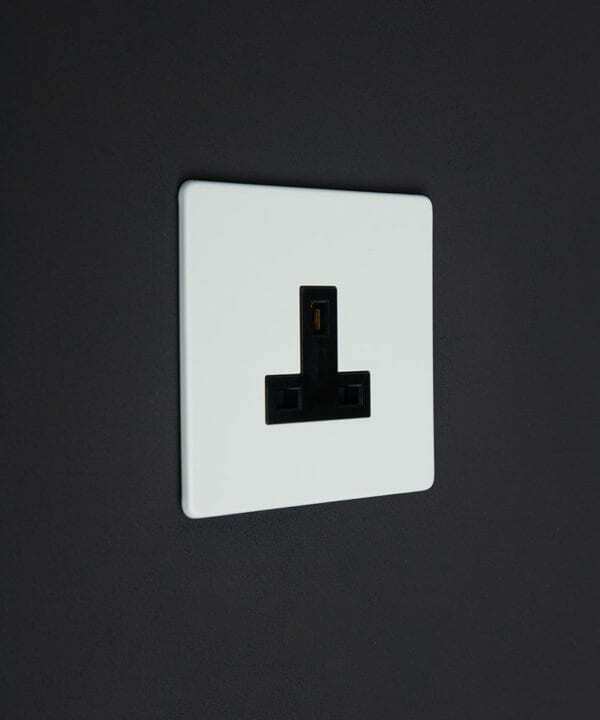 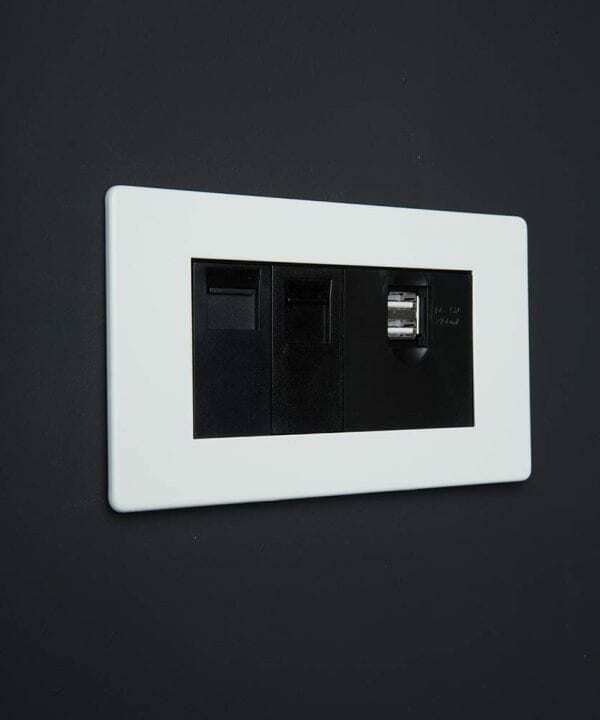 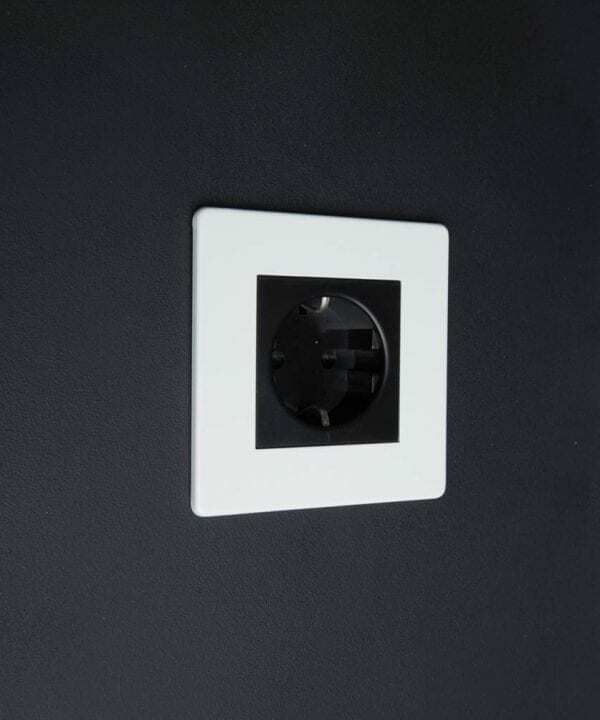 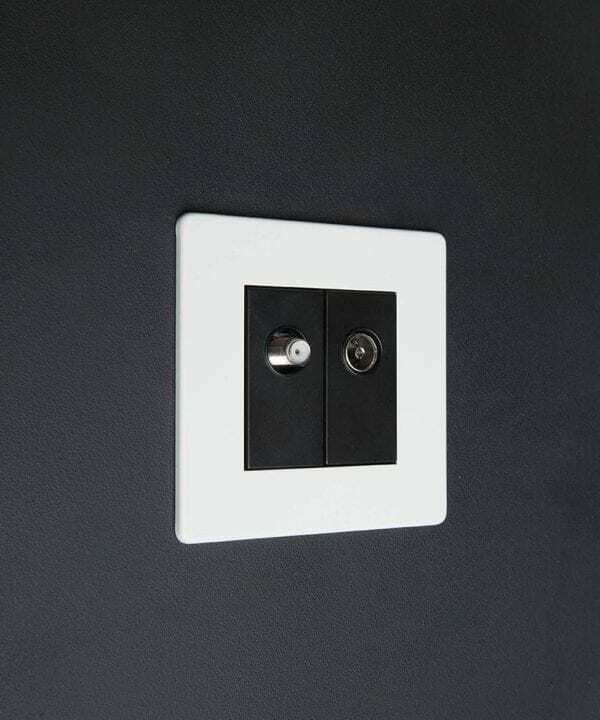 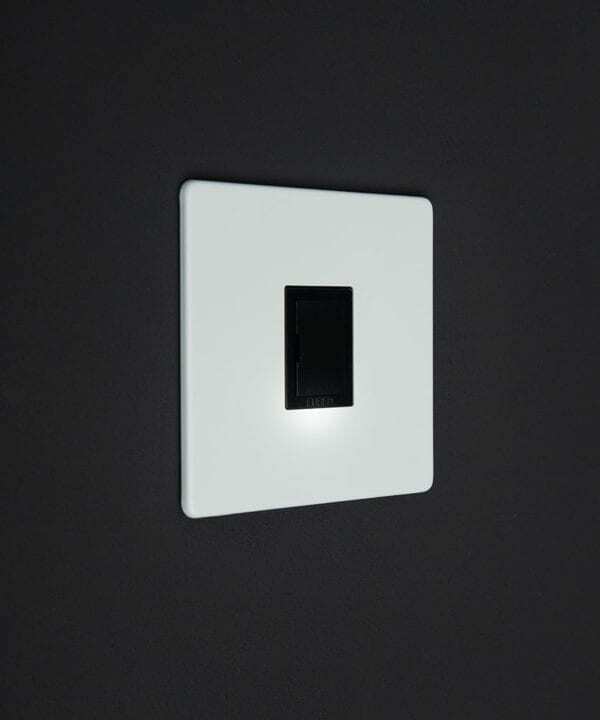 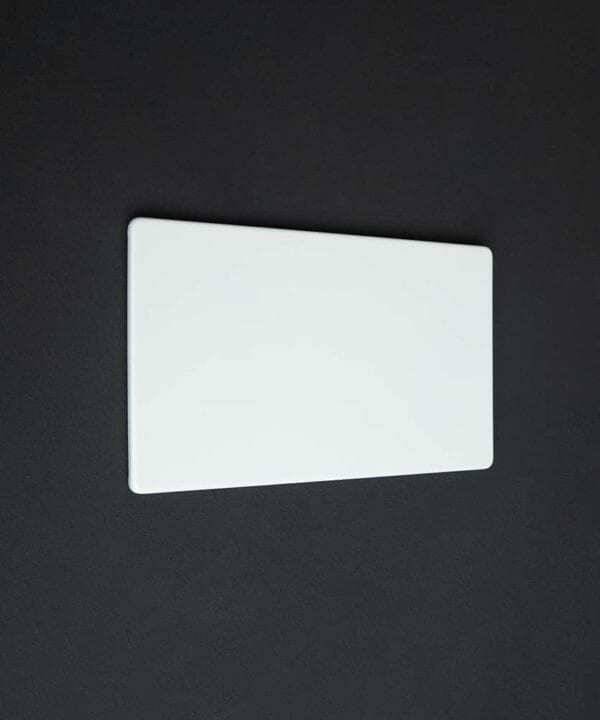 Each industrial style switch features a steel backplate painted with a matt white finish. 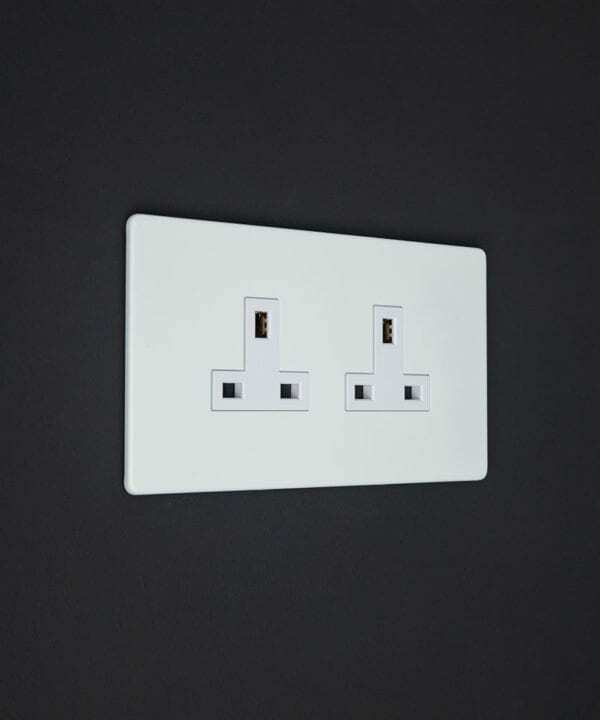 What’s more, we’ve even concealed the fittings for the ultimate in chic-style AND they fit flush to your walls for an uber-neat finish. 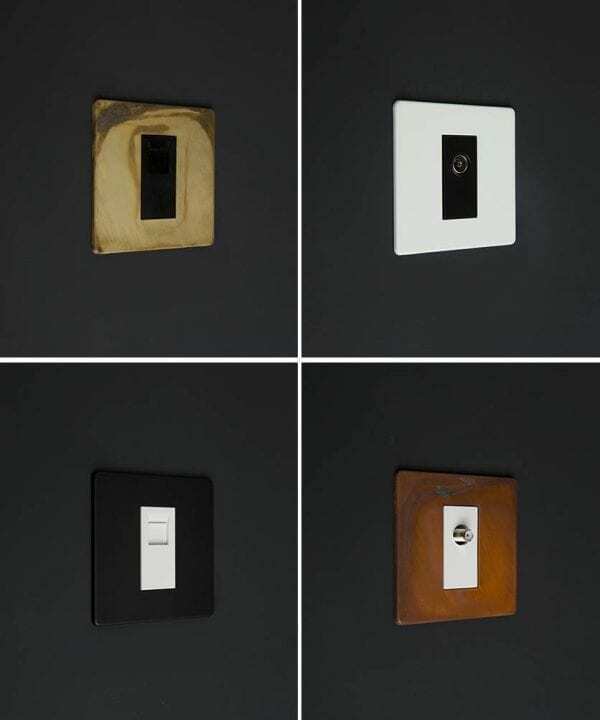 Choose from black, white, gold or silver inserts to finish off your interiors to a beautiful standard. These designer switches are worth showing off. 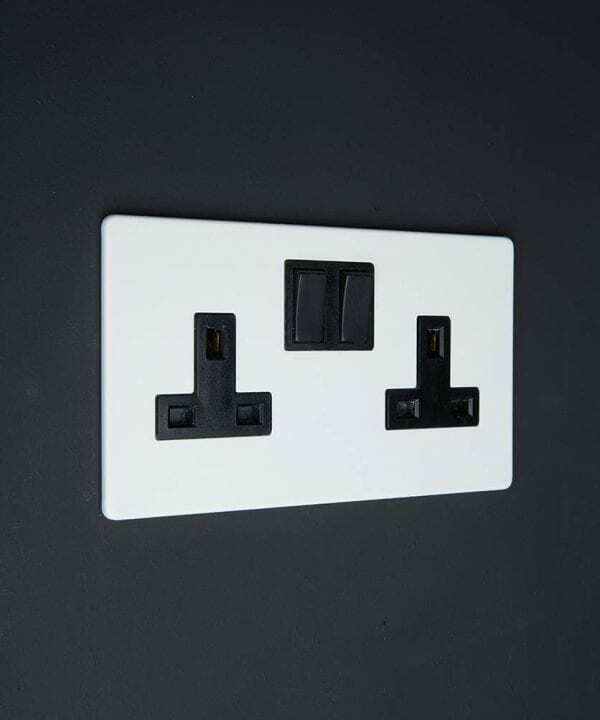 Check out our FAQs page if you have any technical questions about these products that aren’t covered in the individual specifications. 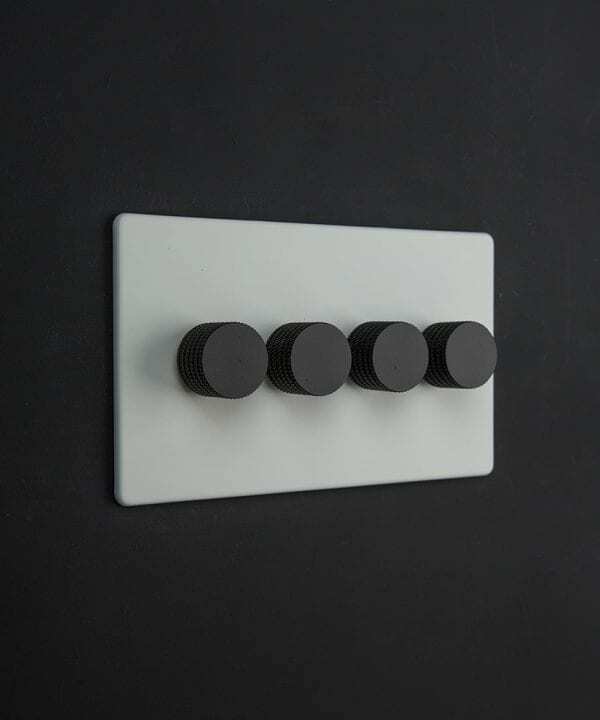 This sleek collection of exclusively designed white switches, dimmers and sockets has been created as an alternative to chunky white plastic fittings. 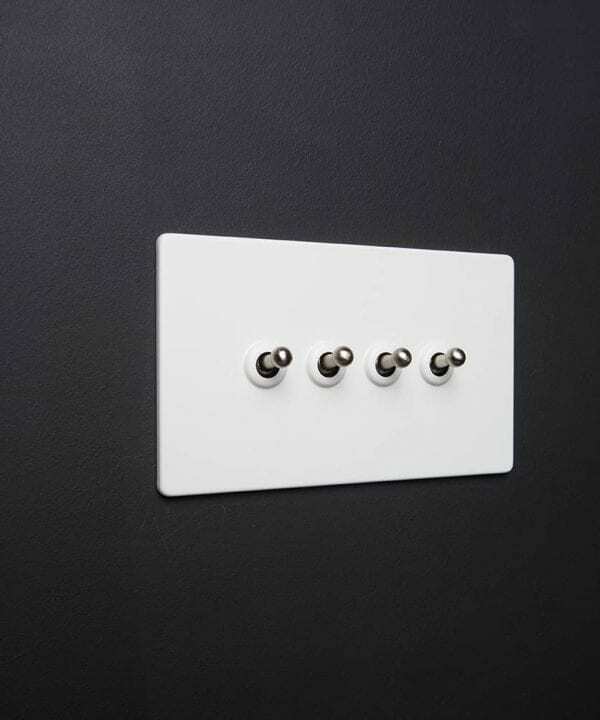 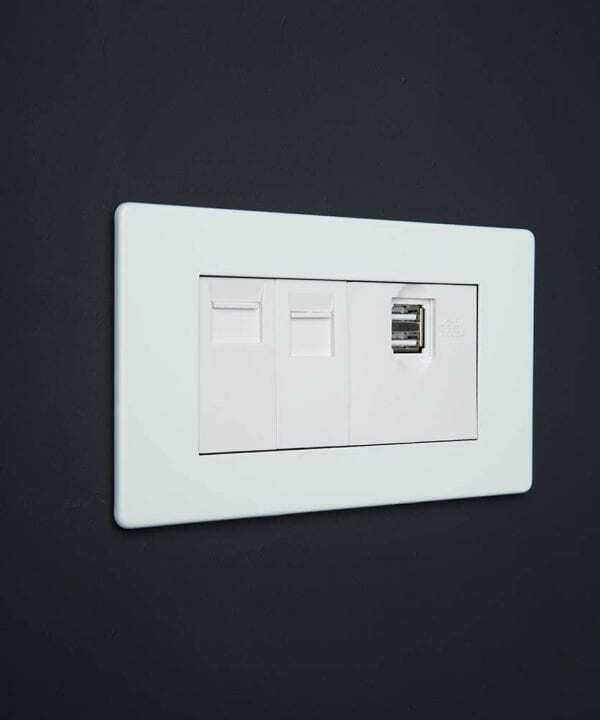 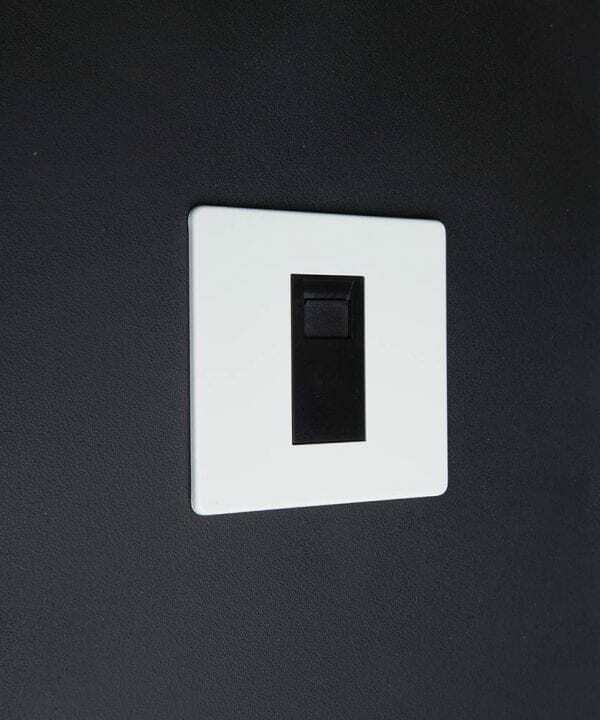 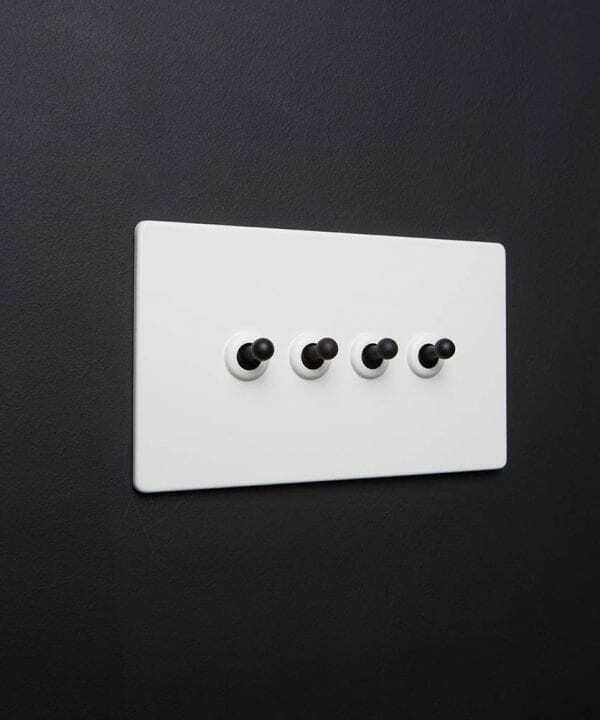 With a plethora of finishes to choose from, these white switches are perfect for finishing off your spaces. Our white and gold switches add a touch of sophistication to contemporary interiors. Alternatively, if you’re looking for something a little more rugged, check out our white and silver collection. For maximum impact place upon matt white walls and coordinate across your interiors for a neat and seamless aesthetic. 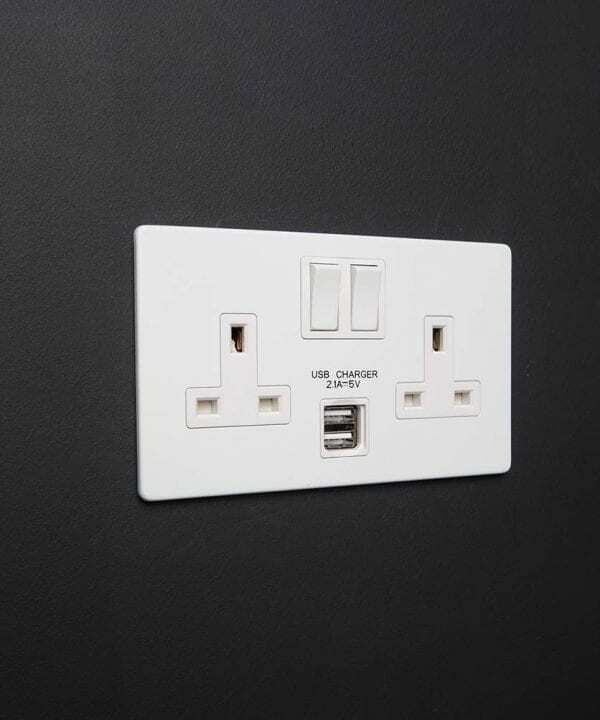 We have everything from USB charging ports to toggle switches and Ethernet sockets to toggle light switches.